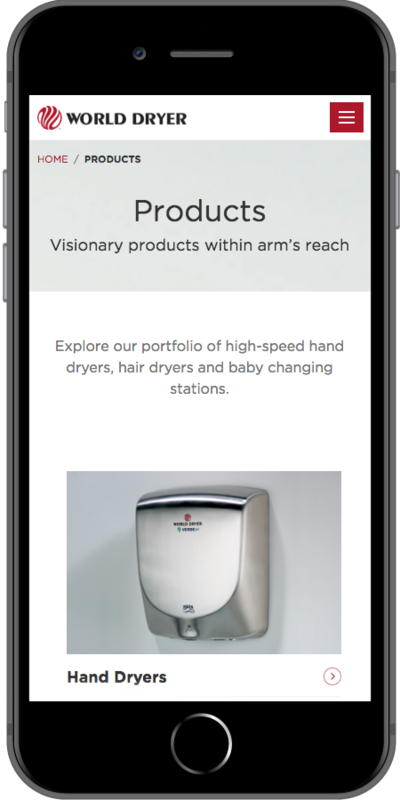 Started in 1951, World Dryer has specialized in creating innovative and advanced air dryers to optimize any bathroom space. 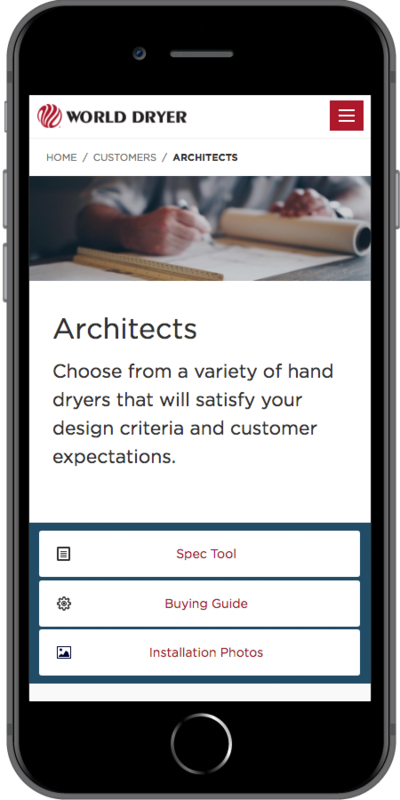 Their goal is always to find ways to improve the user experience by developing dryers that are quieter, faster, more sanitary, more efficient, and at the lowest cost of ownership. 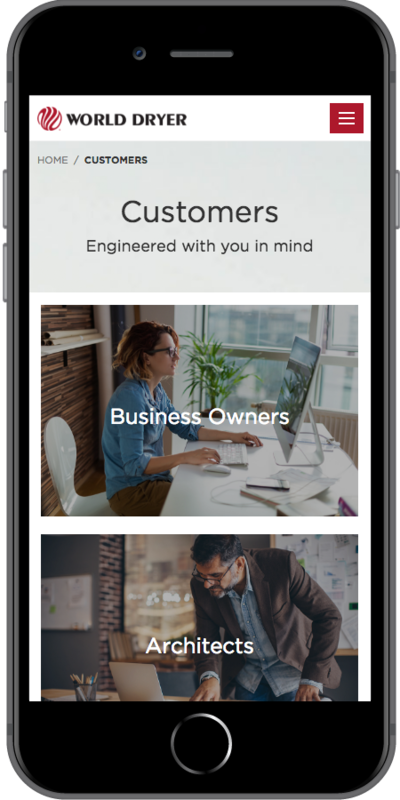 Our design team implemented a new responsive design using Kentico 11 as the CMS platform. 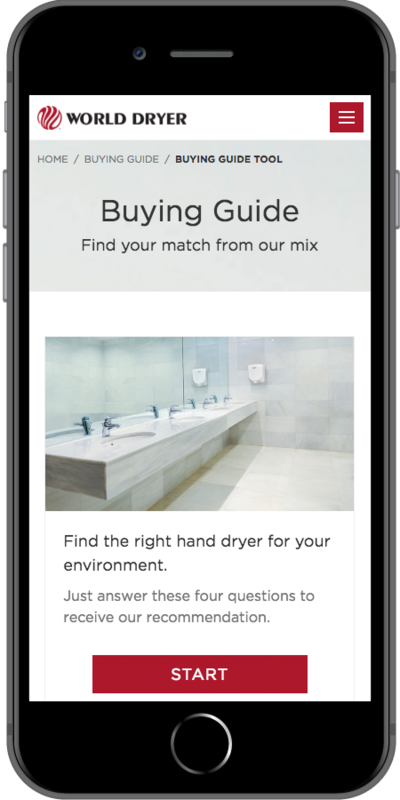 In addition, the marketing features provided by MarketTrack helped focus their customers through a Buying Guide and Sales Calculator while relaying the data back through the MarketTrack CRM. 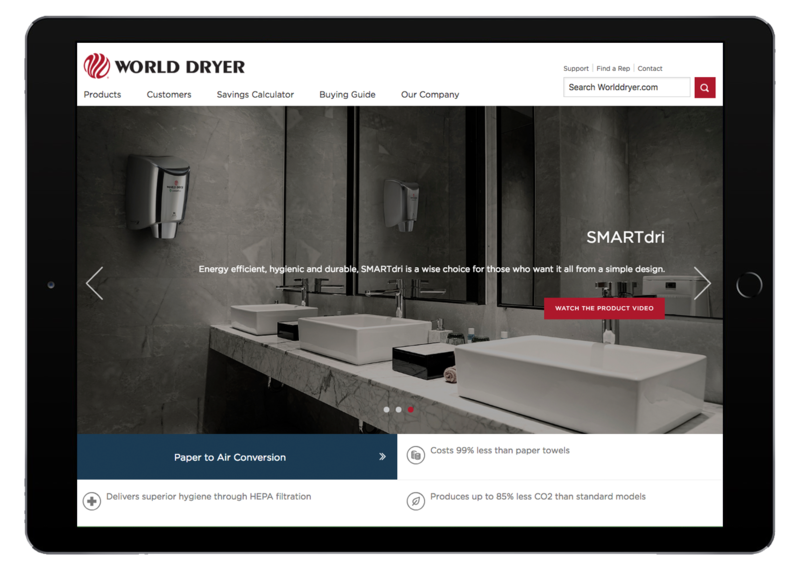 With beneficial resources like BIM files for architects and contractors, World Dryer is able to accommodate the needs of their buyers in a more accurate and efficient fashion. The site includes improved functionality and easy navigation for an optimal user experience.